Beautiful wrist mala / bracelet with 21 beads. 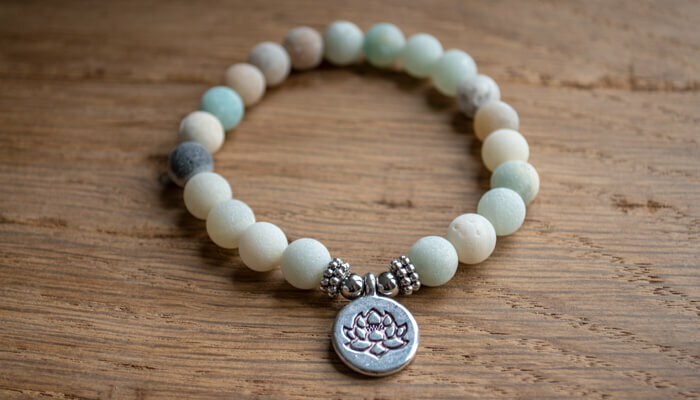 Made from Amazon stone (Amazonite) with a metal lotus charm. Elastic cord allows you to easily place it on your wrist and it comes with its own brocade bag for storage. Amazonite is traditionally regarded as a powerful protector against negative energies and electromagnetic radiation It is also regarded as balancing thinking and intuitive wisdom. 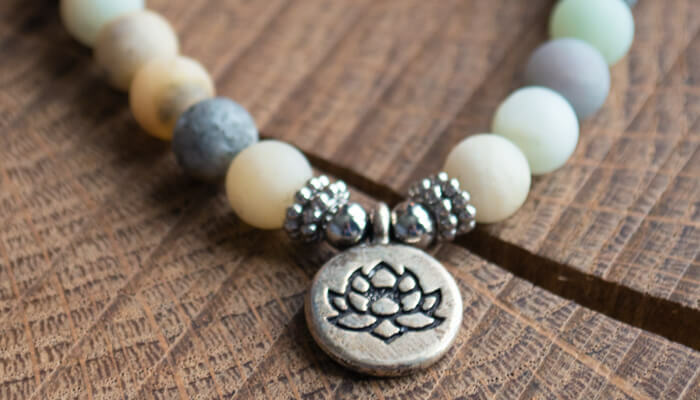 A Mala was originally a hinduistic and buddhist tool for prayer and meditation. It is used to count mantras during meditation. A mantra is a collection of words, often from Sanskrit, which is repeated several, traditionally 108 times. While repeating, you focus on the meaning and vibration of the words, possibly combined with the accompanying visualisation. By training in a meditation practice like this, your thoughts come to rest and your body relaxes. Nowadays, a mala can also be worn as a fashion accessory. 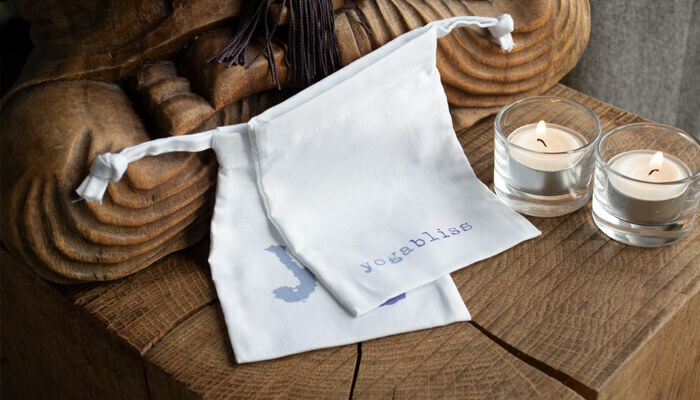 Beautifully packaged beads with their own draw string bag. The stones are a pretty colour and feel lovely to wear. I’d definitely buy them again. They were a gift and the person that received that thinks they are beautiful.